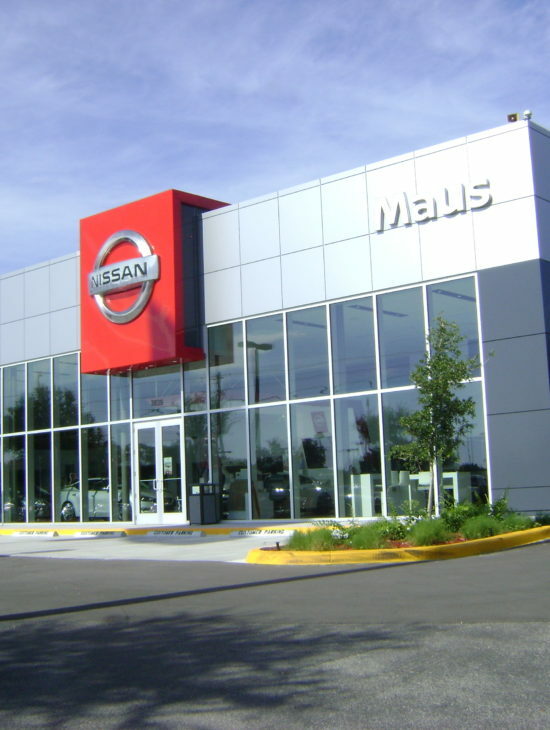 Maus Nissan – Spring Engineering, Inc. 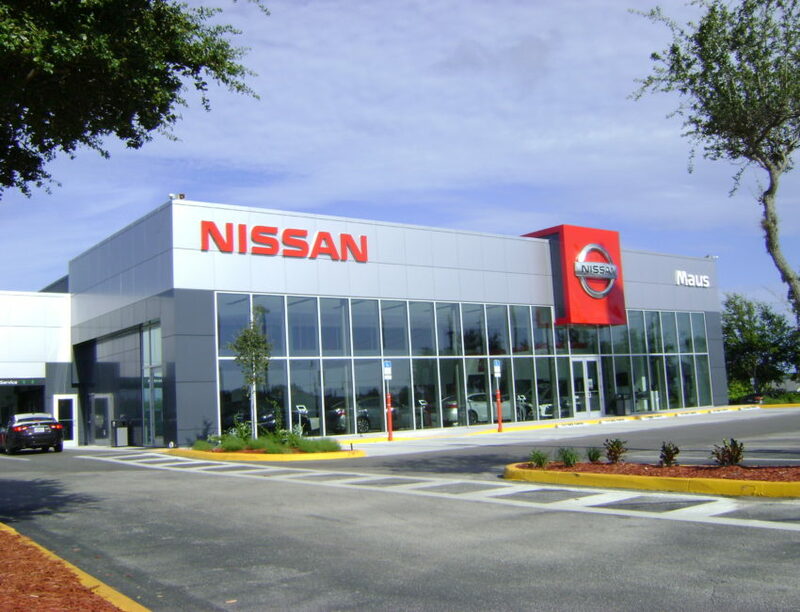 The Maus Nissan project is one of the first NREDI (Nissan Retail Environment Design Initiative) version 2.0 in the Country. 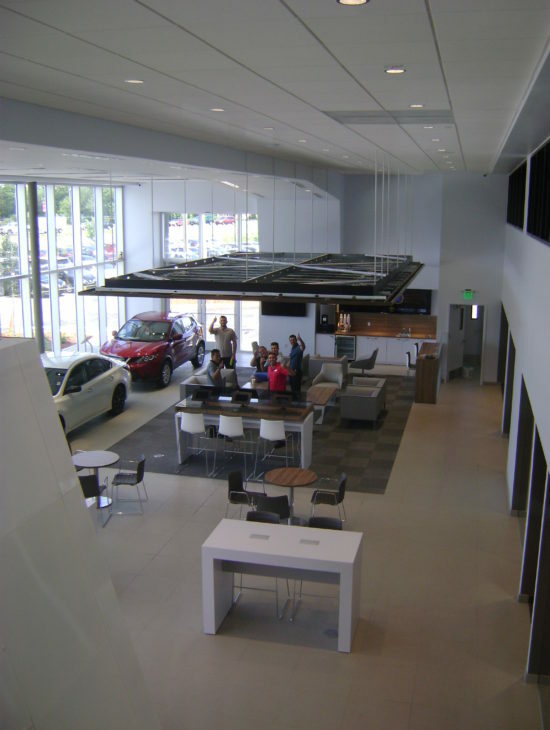 Located in New Port Richey, FL this project included a new building facade, site upgrades and an interior remodel.